It’s now deep in to November and Winter is creeping up on us quickly. Coming from Canada we know a thing or two about the cold. Unless you reside down south or in a tropical area of the world then the temperature is likely getting a bit chillier for you too. Us humans, we can adapt to the cold. We have modern heating appliances, clothing and the knowledge to stay warm and happy. But can the same be said about our kombucha brewing? Not really. Our kombucha and SCOBYs are fragile and need to be cared for like children. They must be tended to promptly and put in the ideal conditions to grow. If you keep them happy you can continue to produce excellent kombucha even as the temperature drops. Many people who brew kombucha in the cold are surprised when they experience bad results at this time of year. Trust us when we say that the temperature plays a big part. So if you want to avoid the negative effects of Winter on your kombucha then continue reading and learn what you can do to fight the chill. 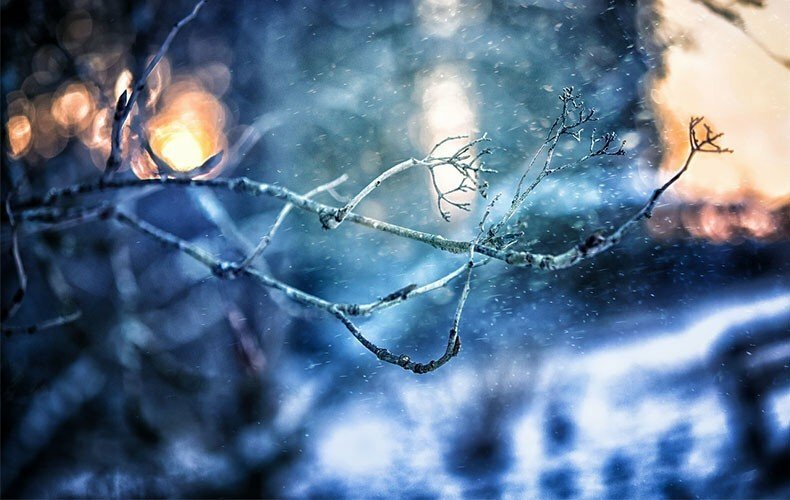 Why Should I be Afraid of a Little Cold? While brewing kombucha is a fairly simple process, the science behind it is quite complex. Bacteria are sensitive to changes in environment and even a few degrees of temperature change can alter your final product. The fermentation process for kombucha is usually best served at room temperature or about 23 degrees Celsius / 73 degrees Fahrenheit. This temperature will typically produce the most consistent and health potent kombucha. Increase that temperature up to the mid or high 20’s Celsius or in the 80’s Fahrenheit and we will notice that the fermentation period will speed up immensely. If a typical brew time for you is 7 days, then raising the temperature to this degree could shorten it to 3-4. Speed of this nature can be troublesome to deal with but also produce undesirable flavors and inconsistent results. Longer Brew Times – The lower the temperature, the longer it will take the bacteria and yeast to consume the sugars in your sweet tea. This will leave you with brew times of anywhere from 10-30 days or even longer depending on how cold it is. This inconsistency is hard to deal with especially if the temperature is changing from day to day. Not knowing how long you should leave your kombucha to ferment can be annoying but also difficult to stick to a recipe. Increased Chance of Mold – Since your kombucha is fermenting slower the acidity of your brew will take longer to develop. This will leave you with a sweet brew in the early stages which is more susceptible to mold. Risk of SCOBY Damage – Your SCOBY is typically quite resilient and can withstand cold temperatures. However, if it gets close to freezing levels there is a real risk that you could damage your SCOBY. We have seen frozen SCOBYs before and they can often be revived and still brew good kombucha, however, this is not always true. We have witnessed frozen SCOBYs that stop producing the way they should and you are left with a useless one. The simplest way to solve this problem is to brew your kombucha in a room that is always heated to 23 degrees Celsius or 73 degrees Fahrenheit. However, the reality is that this is not always possible given our various living situations. It could be that the space most convenient to keep your brewing vessel is in the basement, a room colder than the rest, or you just keep your home colder in the winter. There is nothing wrong with that at all. There are techniques and tricks we can use to adapt to our situation and still keep a consistent kombucha brewing temperature. Our goal is simple. Find a way to get your brewing vessel temperature as close to our desired mark as possible. With our goal in mind we want to give you a few easy tips to get your brew closer to it’s temperature goals. Some are free, some are adjustments, others you may need to spend some money. It all comes down to how serious you are about brewing kombucha in the cold with consistency. Two major concerns of brewing in the cold are the length of brewing time and possibility of mold. One quick trick to negate these is to use more starter fluid than you otherwise would in warm temperatures. Starter fluid is high in acidity and can start your brew off with boost. Your brew will be able to ferment faster since it has a higher amount of bacteria, yeast and acids found in the starter fluid. Furthermore, increasing starter fluid raises the acidity of your brew which helps to ward off any harmful bacteria that would lead to mold. Given a situation where you can not raise the brewing temperature, this is a solution that will only help your cause. Knowing how long your fermentation period will be will still be an issue, but the fermentation time will be relatively shorter and safer from mold. So if you usually use a cup of starter fluid when starting your batch, double that amount and closely monitor your brew if it is the first time you are trying to brew in the cold. Take notes and continue to adjust how much starter fluid you use and how long your fermentation period is lasting. If you are going to be putting your brewing vessel in a location that is near a window, be sure to wrap your brew in a blanket. Not only will this insulate the brew, but it was also protect it from UV rays that are harmful to the bacteria in your kombucha. This is very important as a main reason we drink kombucha is to benefit from the good bacteria and we don’t want them eliminated by UV! If you can find a well insulated area in your home there are a few ways you can keep your vessel warm throughout the day. For example, you could use your oven, find a large styrofoam box, or an empty refrigerator or freezer that is not being used. Of course to keep heat contained within the insulation you will need a heat source. One easy and safe way is to purchase a microwavable heat pad which you can heat up, toss in with the kombucha and let the insulation keep the heat throughout the day. If you try this method, you will need to do a bit of experimentation. A lot of factors come in to play here. It will depend on how hot your heat pad gets, how long its stays warm, how well insulated your location is. If it can keep a temperature in your desired range you will need to find out how long it will last before it falls our of your range. Then you can set a timer and remember to reheat your microwavable pad and throw it back in. A bit of a tedious method for sure, but one that can be effective if you don’t wish to keep any lights, electronics or heat sources on throughout the day. Heat Wrap – You can purchase a device that is made to wrap around your heating jar and keep it warm. This is a very effective way of warming but can also be a high energy user. This all depends on the lengths you will go to for your kombucha! Heat Lamp – Use a infrared or aluminum reflecting heat lamp similar to what you would find in space heaters, larger plant warmers and for keeping food warm. A more expensive option but if you already have one you may be able to put it to use. This is probably the most expensive option given your up front cost but also the cost of electricity throughout the day, every day. But hey, if this is what you need to get the kombucha you deserve, then maybe it is an investment you would like to make. If purchasing and maintaining heat sources like in tips #3 and #4 are not your thing, consider this. By utilizing tip #1 using more starter fluid and tip #2 of strategic locations you will still be able to brew fine kombucha. The caveat being that your process is likely going to be a bit slower. Our proposed solution is to simply brew more kombucha at once. If your brewing time has doubled, if you brew double the amount and you will have the same amount of kombucha that you would otherwise have had in normal warm conditions. In fact, the net amount of work you will need to do will be reduced (you can get both brews done at once, set up time and bottling time is done just once instead of twice). This method can save you in electricity costs but also the peace of mind from any risk of leaving heat sources on in your home. If you have a few extra SCOBYs, just purchase more Brewing Tea and our 4L or 1 Gallon Brewing Vessel which comes with a temperature strip to help measure the temperature of your brewing location. If you prefer to get an additional set up with everything you need, check out our 4L Starter Kit, 4L Deluxe Kit or 4L Supreme starter kits which are on a limited warehouse blowout offer (you honestly don’t want to miss out on this one!). Need more bottles to bottle more kombucha at once? We have our best selling set of 6 500ml Amber Bottles and our new Set of 4 Swing Top bottles. The options are out there for you, you just need to step forward and get them! If there is one item that is key in all of this discussion it is having a way to easily monitor the temperature of your brew. You need to have the facts so you can make the proper decisions to adjust to your surroundings. 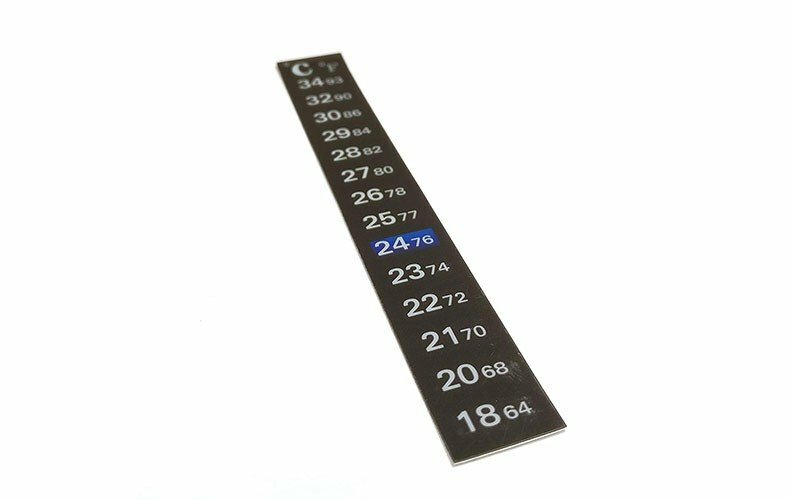 We are currently offering our Adhesive Temperature Strips at a fantastic price of $5.49 with free shipping. You can stick this strip on the top portion of your brewing vessel (this is to avoid the strip being burned in the sweet tea making process) to read the temperature of the liquid inside. This gives a more accurate reading of the temperature of your kombucha and not just the area around it. Be sure to pick one of these up if you are planning to take on the Winter with your kombucha efforts! 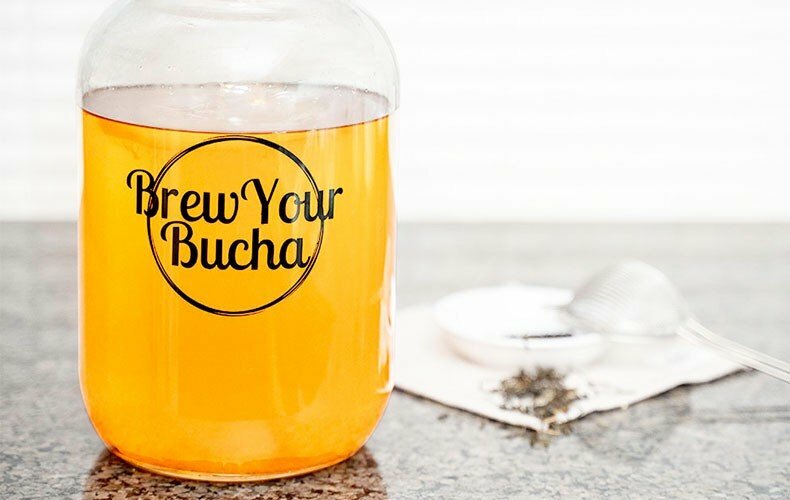 Brewing kombucha in the cold can be challenging but now you have the knowledge to persevere!